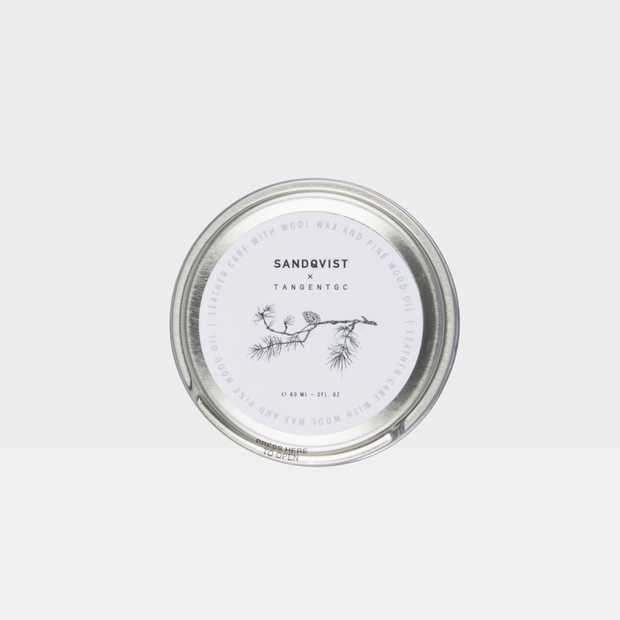 Sandqvist has since the start in 2004 strived to make durable, high quality products that can be repaired if broken. We do this by carefully selecting and evaluating the quality and environmental sustainability of materials in the bags. We also encourage our customers to take care of our products and to extend the life of them. We only use high quality leathers. 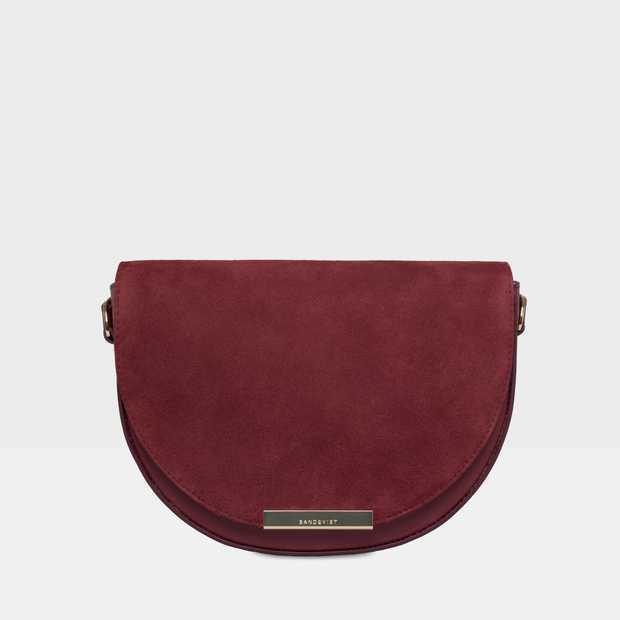 Our more exclusive leather bags and items are made from carefully selected vegetable tanned leather, while leather details are made from high quality top grain leather. We only use leather from animals that have been bred for meat production. 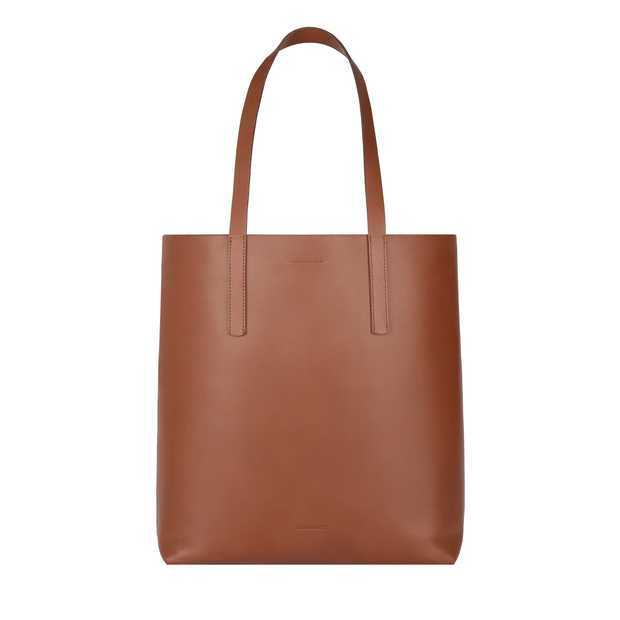 Our most exclusive leather bags and wallets are made from full grain, aniline dyed vegetable tanned leather. The vegetable tanning uses natural tannins from bark and leaves, makes the leather firmer and allows it to age in a beautiful way. This full grain leather uses the top layer of the hides, which include the strongest fibres in the hide. 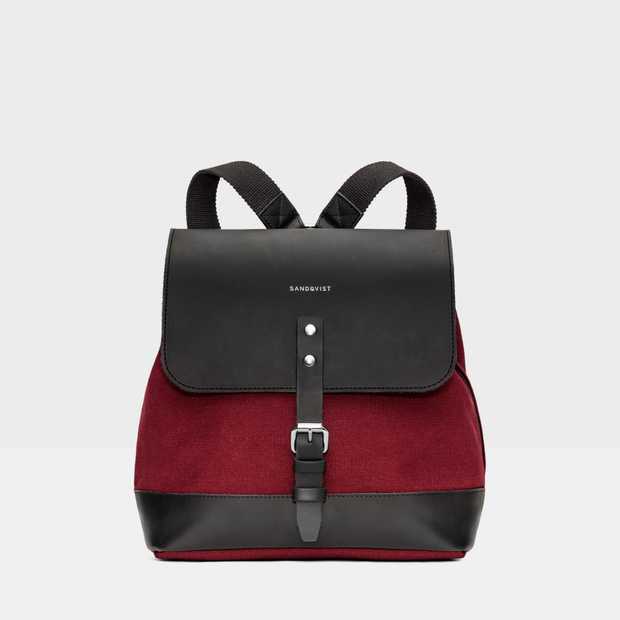 The leather is aniline dyed which means no pigment is used to conceal natural defects in the leather. Therefore, only high quality hides can be used and why some scratches and imperfections may be visible. These natural variations add character and should not be seen as defects, but a sign that natural hides have been used when making the product. Leather details used in our products are mostly made from top grain leather. This is the second highest leather quality after full grain. This leather has been vegetable retanned after the initial tanning, to give it similar properties to the vegetable tanned leather. Depending on where it is to be used, the leather is given different treatments to make it suitable for those specific products. Most of this leather will be semi-aniline dyed, meaning that the leather has a thin protective surface. 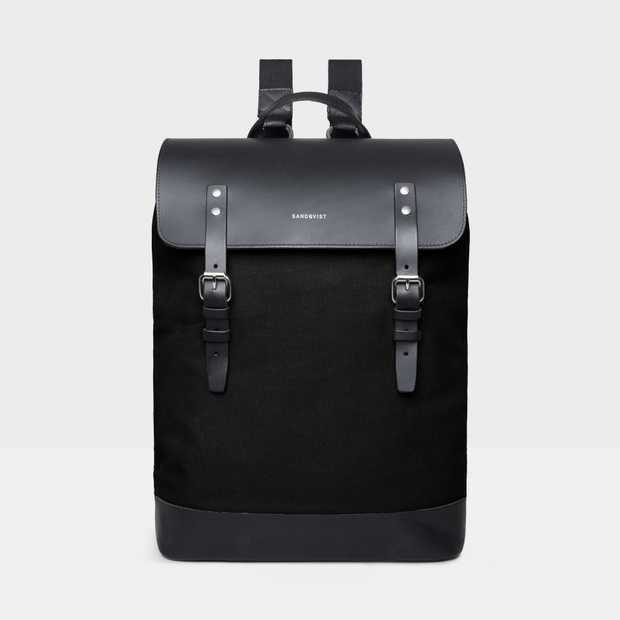 On some bags, this leather might also be corrected to give it a more uniform surface. - Note that greasing will also soften the leather a bit. 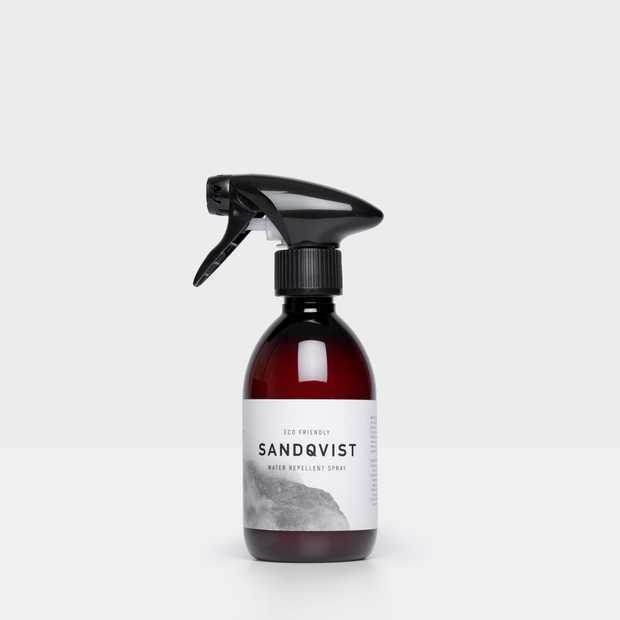 We recommend using a natural product like Sandqvist Tangent Leather Care. - To improve water-and dirt repellency on our leather bags, we recommend using our Water Repellent Spray. Our suede is made from goat skin. Please note that suede is sensitive to water and therefore we recommend that you use suede or nubuck impregnation spray before using the product. Use a suede brush to gently scrub off stains. Canvas is a heavy-duty material with a long history. This plain weave has been used in a wide variety of ways, making everything from sails to shoes and bags – all areas where the material’s durability is put to the test. 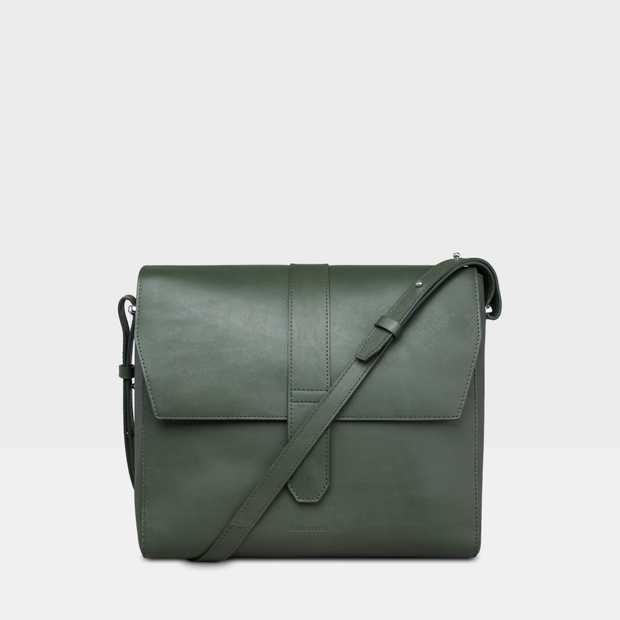 Our canvas products are made from an unwashed organic cotton canvas, which means that the colour can bleed and that the bag will age as it is used. Just like a pair of unwashed jeans, every canvas bag will get its own unique look with time. The thickness of a canvas is measured in ounces per square foot, but usually the term ounce (oz.) is used. We use both a thick 18 oz. canvas, and a thinner 12 oz. All our 18 oz. canvas will be made using only 100% organic cotton, and all 12 oz. 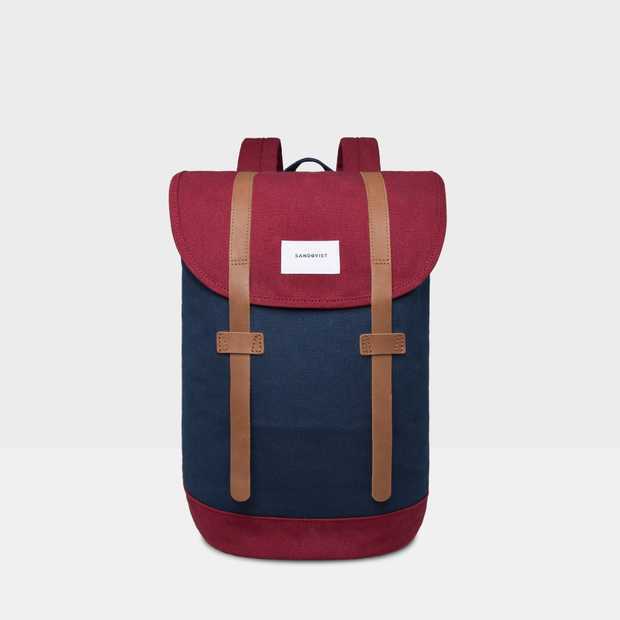 canvas from 65% organic cotton and 35% recycled polyester. Learn more about how using organic cotton directly sourced from the farmers. Our 18 oz. canvas is a very thick and durable fabric, made from 100% organic cotton. 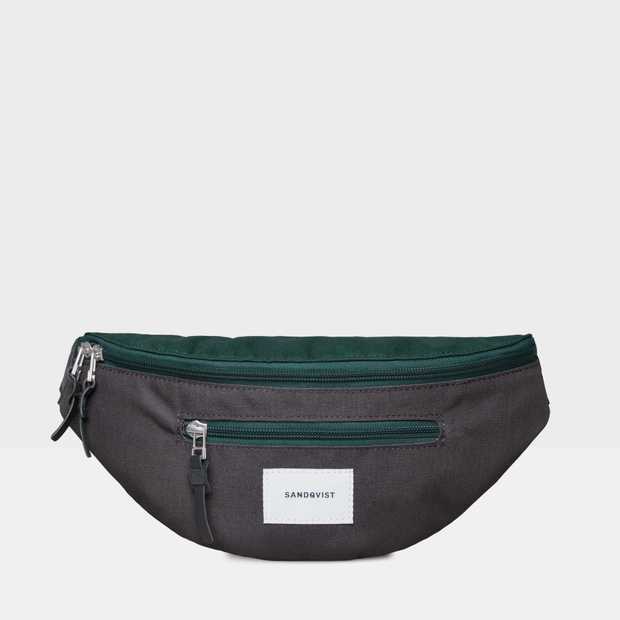 The structure of the canvas becomes distinguishable when using heavy three ply yarn, while the thickness and weight of the fabric not only means the bag handles abrasion well, but also lends steadiness to the bag. The fabric is not only double mercerised to increase the lustre, absorbency and softness, it’s also double dyed for an even and deep dye penetration. All the dyes are GOTS approved and the dyed water is fully recycled. Our 12 oz. canvas is a polycotton blend made from 65% organic cotton and 35% recycled polyester. This makes for a sustainable as well as durable and lightweight fabric. By using a polyester cotton blend, the weight of this canvas can be kept low while still getting a hard-wearing fabric. The bags in 12 oz. canvas are thinner and lighter than the ones made from 18 oz. The polyester fibres in our 12 oz. canvas are made with post-consumer PET waste from Reliance Industries (http://recrongreengold.com). The fabric is dyed using GOTS approved chemicals and dyed water is fully recycled. The fabric is coated with polyvinyl acetate to increase the stiffness and to increase weather and water resistance. 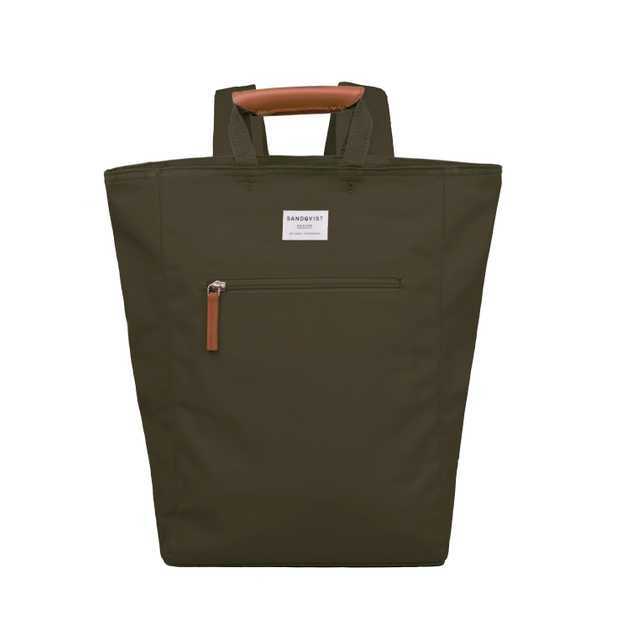 - The colour of our canvas bags may fade overtime, especially when exposed to sunlight, and will develop a beautiful and unique style. Just like your favourite pair of denim jeans. 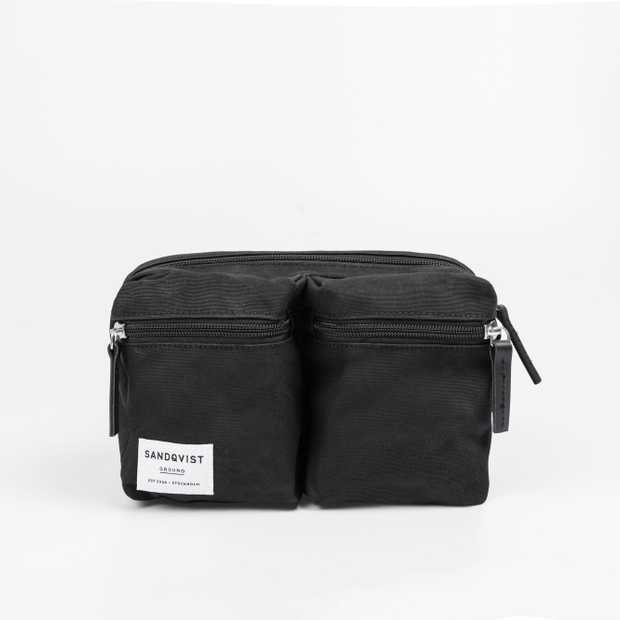 - If you want to make the bag more water resistant, you can treat it with a product made specifically to protect cotton garments. The canvas can also be waxed to protect it from rain. 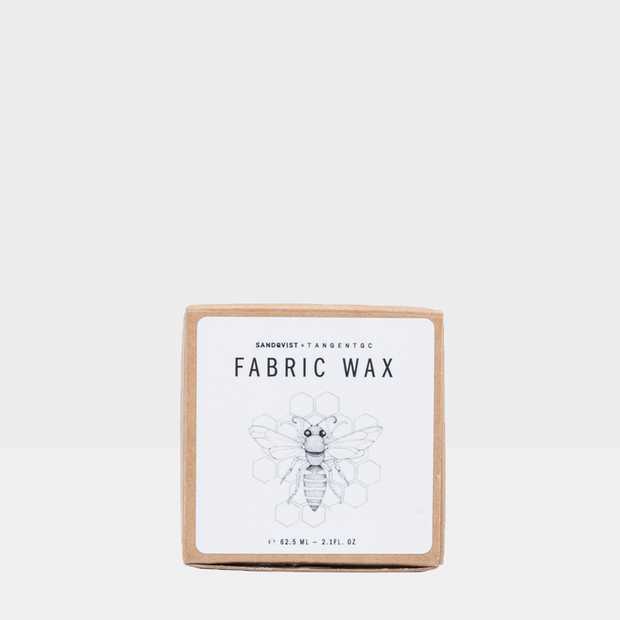 We recommend our Tangent Fabric Wax and our Water Repellent Spray. - Dirt can normally be removed by carefully wiping the fabric with a moistened sponge and some mild soap. Be gentle, as hard rubbing on the fabric may cause spots. - Beware of light clothing as canvas colour may come off with friction, sweat and water. - If washing is absolutely necessary, we recommend careful hand washing. If hand washed, use lukewarm water and a mild, non-bleaching detergent. Stretch the wet product and let it hang dry. Re-grease the leather details when almost completely dry. Cordura® fabrics are known for their durability and resistance to abrasions, tears and scuffs, which make them well suited for many of our products. Cordura® is today a brand name for several different types of fabrics made from nylon, polyester and recycled materials, in different yarns and weaves. 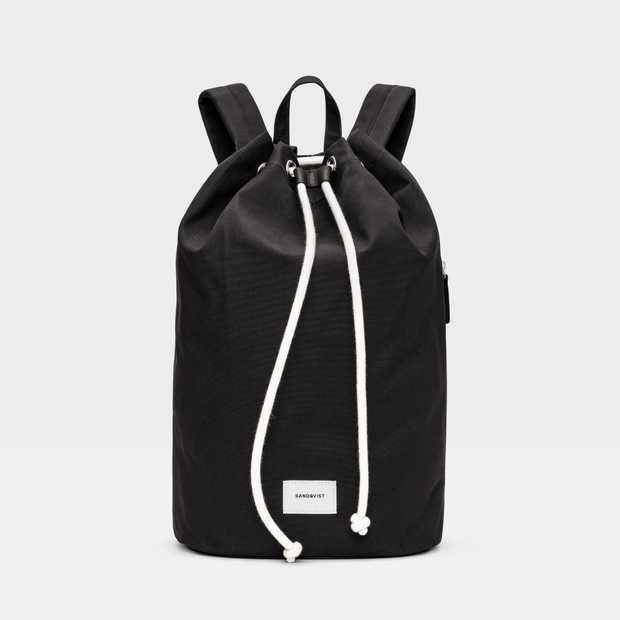 Sandqvist now use a range of these Cordura® fabrics in the collection. Cordura® has launched a range of materials using different amounts of recycled fibres, and has branded these materials EcoMade. 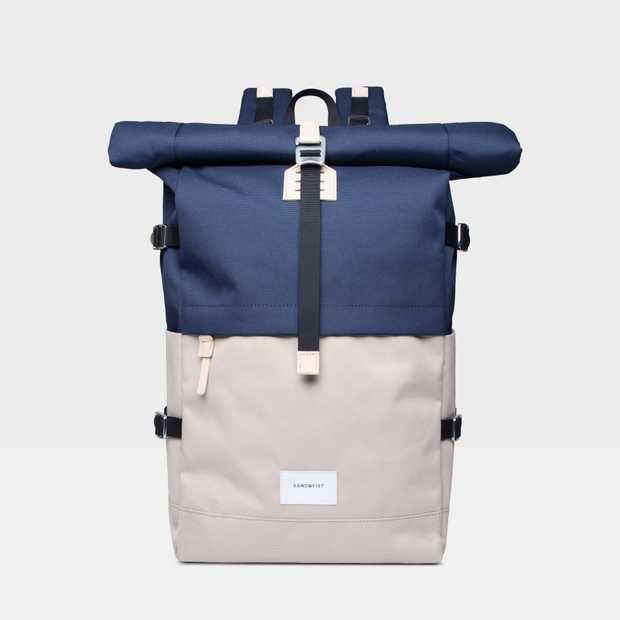 Sandqvist is now in a process of switching to using Cordura® EcoMade in all our Cordura® products. The Cordura® fabrics used by use water resistant. In our Urban Outdoor series, we use 915x900 denier heavy duty Cordura® made from 40% recycled polyester. Our Cordura® EcoMade ripstop uses 600 denier polyester. The ripstop weave gives the material a good strength-to-weight ratio. The Cordura® ripstop used by us is made from 43% recycled polyester, which reduces energy use, waste and extends the life of the raw material. The Cordura® Nylon Twill used by us is made from high tenacity yarn, the same yarn used when producing tires, safety belts and air bags. It’s highly durable with up to 50% more strength than normal nylon fabrics. - The material is water resistant and Cordura® fabrics are known for their durability and resistance to abrasions, tears and scuffs. - If washing is necessary, clean with a moist sponge or cloth, use hand soap if needed.